4258 N Ocotillo Canyon was listed at 335K today by Long Realty. Having many upgrades and some updates (lighting, carpeting and fresh paint) with a 3 car garage makes this one a real winner. I predict this one will be history soon. 4062 N Quail Canyon finally sold for $1,155,000 by Long Realty. It has been on and off the market in the past four years and had a starting price of $1,436,000. With dramatic city, Rincon and Santa Catalina mountain views it appeals to those looking for ridge-top views. Some of the upscale features of the house include Wolf appliances, 24″ travertine floors, 600 bottle wine cellar, and the outdoor area has all the exquisite features you would expect in a home priced over a milion: firepit, pool, spa, and BBQ. Homes over a million tend to be bargains because in this price- range there is so much competition and few buyers. This almost 4K square foot beauty is one of the newest constructed homes in Sabino Mountain. This is only the seventh home that has closed escrow this year in the Catalina Foothills zips of 85750 and 85718. If you are interested in exploring homes in beautiful Sabino Mountain, give me a call at 520-615-2598. 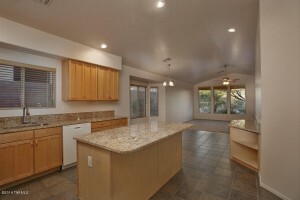 Eleven Sabino Mountain Homes for Sale; they are priced between 350K and 1.3 million. 4108 N Sunset Cliff Place sold for the incredible price of 369K; it was listed by Long Realty. This is about the same price it sold for originally when it was new 15 years ago and it did not have a pool.The upscale pool was only put in within the last few years. This almost 3K square foot two-story home is updated and showed well.It likely suffered from too many two-story homes in the community on the market at the same time. The buyers got a fabulous deal. It is interesting to note that so far this year all the homes either under contract or sold–totaling 5 homes, are priced under 400K. If you are in need of my professional services, contact me at 520-615-2598. 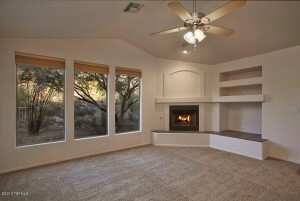 I am passionate about selling homes in Sabino Mountain. Here are the 3 under contract; final sales prices will be posted when they close escrow. List Prices are $294,900 – $398,000 and prove Sabino Mountain is still affordable for buyers seeking the good life in the beauty of Sabino Mountain. This gated community is minutes from Sabino Canyon and the beauty of the multiple mountain ranges is stunning, along with the pristine Sonoran Desert Open Space that surrounds it with high saguaros, barrel cactus, palo verde, mesquites, mule deer, coyote, gambrel quail. It is slow! My advice to Sellers — ask your agent to hold your house Open at least once a month; have excellent and very detailed brochures, price it right from the start! Pick an agent who knows the neighborhood and can tout its best features to buyers and their agents. And if your house has been on and off the market for over a year check the price if you are sure your agent is doing a great job; it is likely priced too high or it would have sold by this time. Get smart about marketing your home! Click on the red link– 9 homes For Sale— to find all the homes listed for sale in our community. You are currently browsing the Sabino Mountain Blog blog archives for March, 2016.